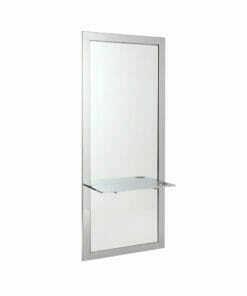 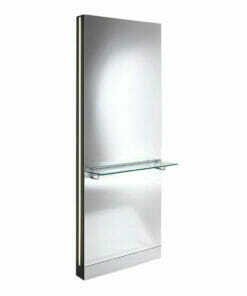 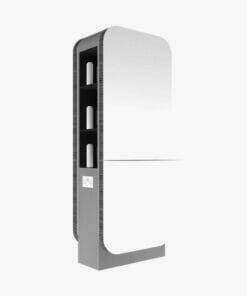 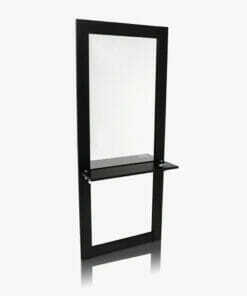 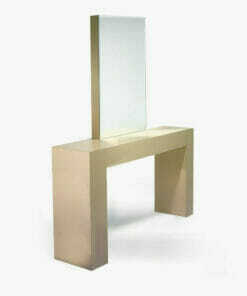 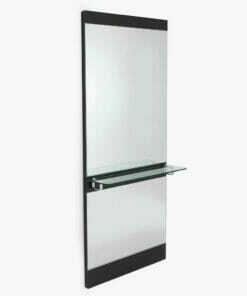 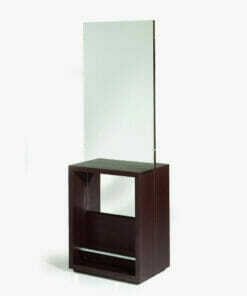 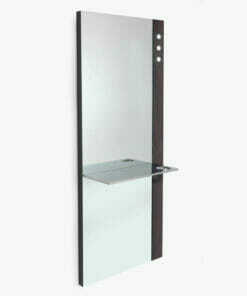 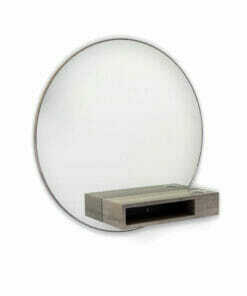 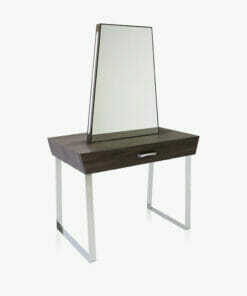 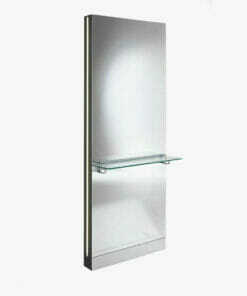 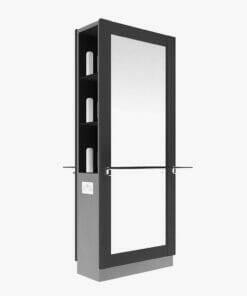 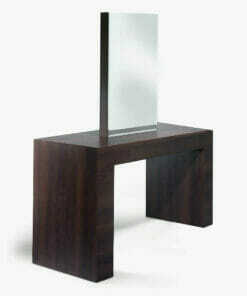 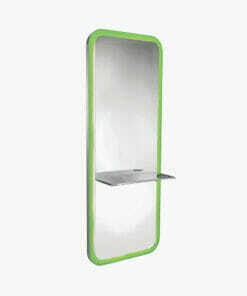 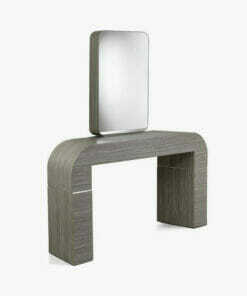 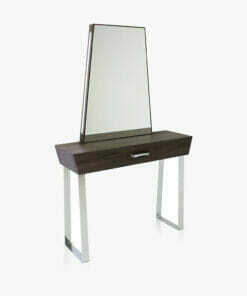 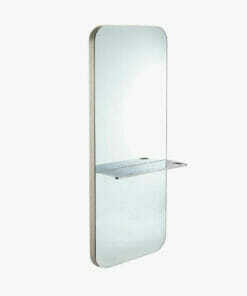 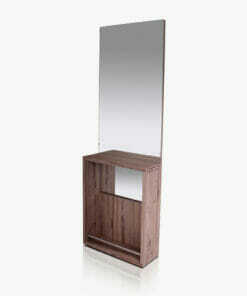 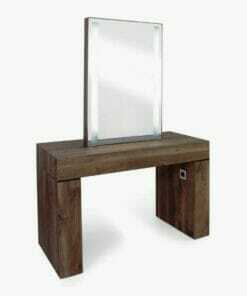 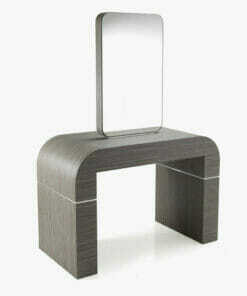 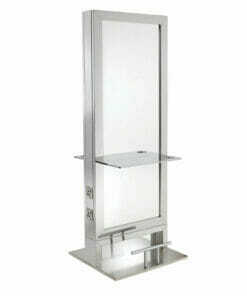 REM Styling Units are salon mirrors designed for use by hairdressers, barbers and beauty professionals. 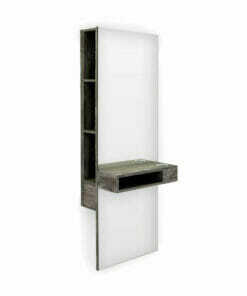 A well chosen styling units can be space efficient option to help stylists make the most of their available room. 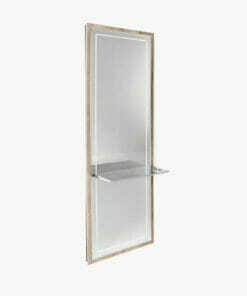 These units can include storage facilities, a handy surface to keep your essentials to hand and of course, a high quality mirror to frame the face of your client. 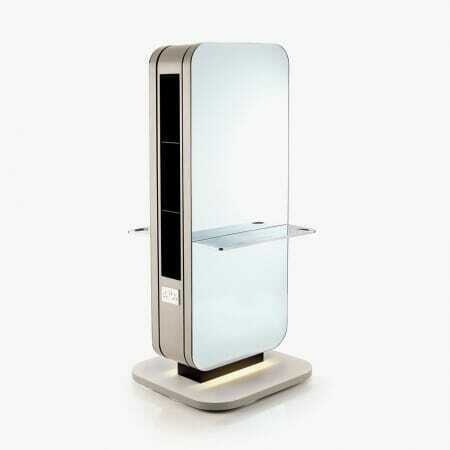 Styling units are part of the superb REM Salon Furniture range and are designed to compliment other items that range perfectly. 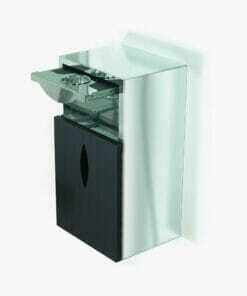 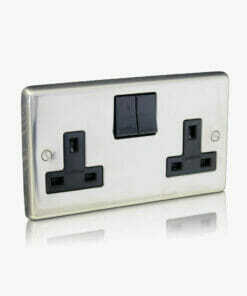 Call 01270 630280 for advice or assistance on any of our products. 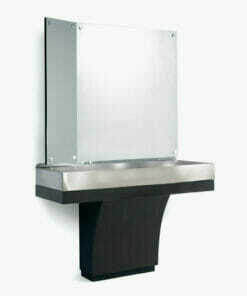 The Duke barbers unit with a plain stainless steel work surface. 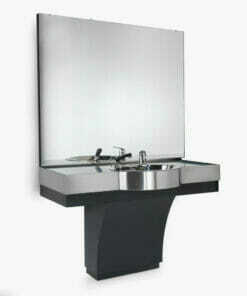 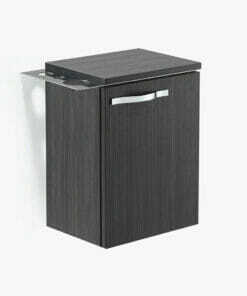 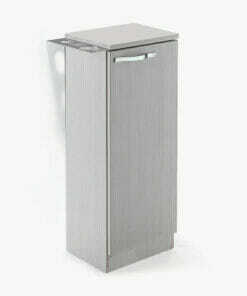 A barbers unit with stainless steel basin, mixer tap, and shower hose, with a host of optional extras.